Here at Pedal Power we believe in getting the best out of you as a rider. We take huge pride in what we do and have a passion for all things cycling and we make it our job to see you improve on a bike. Being acredited with British Cycling level 2 coaching badges in all forms of cycling,including Road,Track,Time trial and Cyclo-cross;we can offer a one to one personalised coaching service ensuring you hit your goals. Give Pedal Power a call and let's achieve those goals! Richard Franklin (or Frank as he's known to his friends!) 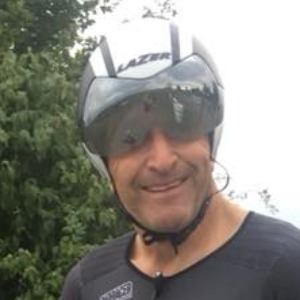 has always been involved in sport, from coaching to playing in various formats; but after 25 years away from a bike, he returned to the sport at the age of 40 reigniting a passion. He has completed the vigour's of a Full and Half Ironman, run full and half marathons but cycling was always his true love. After a very bad cycling related accident three years ago during a time trial causing serious injuries (including but not limited to a broken neck and fractures to the spine), Richard knows what its like physically but also mentally to get back to fitness and is able to draw from experience to help others achieve their goals. Subsequently making the decision to follow his passion and focus on coaching as well as riding, Richard now regularly coaches at a children's cycling club in Bath every Saturday, has coached a number of youth cyclists as well as adults on a one to one basis whilst continuing to work his way up the British cycling coaching ladder. Success. Coach Richard Franklin has been notified of your message.